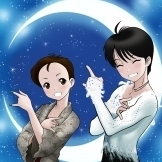 Showing results for tags '羽生結弦'. 2017 Autumn Classic International The 2017 Autumn Classic International will feature senior events in men, women, pair and ice dance, and junior competition in men and women. Typically, the event will host over 50 entries from over 20 countries. The competition is one of 10 events that will form the ISU Challenger Series. Athletes at the senior level have the opportunity to earn world standing points. Competitors are eligible to participate in up to three Challenger Series events. ISU GP Rostelecom Cup 2017 The first event of the series this year is the Rostelecom Cup in Moscow (RUS), October 20 to 22. 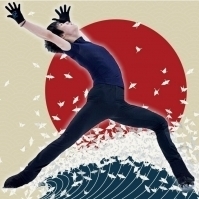 World and Olympic Champion Yuzuru Hanyu will start his season there and will face Four Continents Champion Nathan Chen (USA). Two-time World Champion Evgenia Medvedeva (RUS) will meet five-time European Champion Carolina Kostner (ITA), who returns to the Grand Prix series after not competing in it in the past three seasons. The event also features Maia Shibutani/Alex Shibutani (USA), Ekaterina Bobrova/Dmitri Soloviev (RUS) and European Champions Evgenia Tarasova/Vladimir Morozov (RUS). World Junior Ice Dance Champions Rachel Parsons/Michael Parsons (USA) will debut at the ISU Grand Prix.